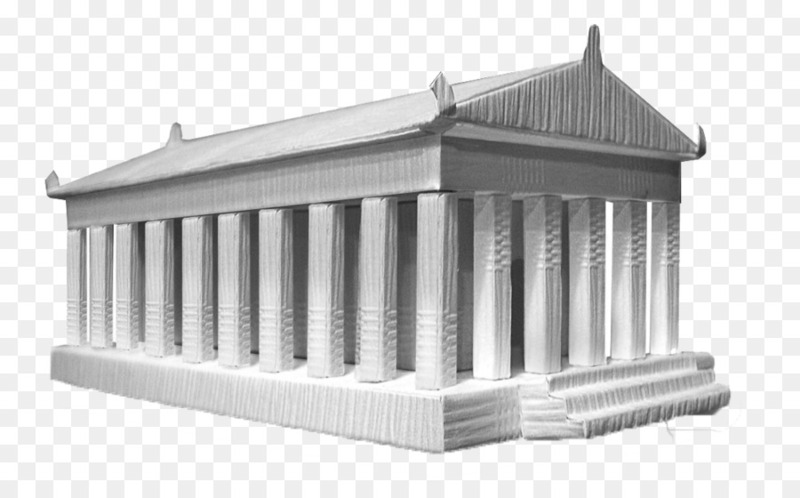 Debt-ridden Greece is being forced to halt the restoration of the Parthenon in the Acropolis of Athens and replace the missing or damaged ancient stones not with new Penteli marbles or titanium but with replicas produced through 3D printing technology. The unbelievable proposal has reportedly come from the country’s lenders who see that despite some economic progress Greece can hardly meet the fiscal targets and achieve a “clean exit” in August. Using modern technology to complete the restoration is essential in order for the Acropolis to bring to creditors what belongs to the creditors, is the prevailing opinion of EU, ECB and IMF. 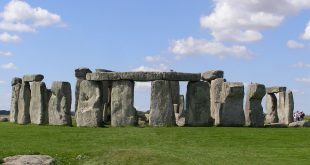 The mammoth restoration project to bring back the Sacred Rock into its full glory started in 1975 when scientists and archaeologists expressed great concern about the future of the emblematic monument due to the increasing pollution in the Greek capital that was increasing in fast pace due to internal migration. 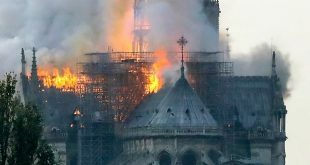 Hundreds of architects, archaeologists, conservators, engineers, draughtsmen, craftsmen and construction workers have worked in the restoration project in four decades. the project has swallowed billions of euros, and the pit has no bottom. The goal of the restoration was to reverse the decay of centuries of attrition, pollution, destruction stemming from military use, and misguided past restorations. The project included collection and identification of all stone fragments, even small ones, from the Acropolis and its slopes and the attempt was made to restore as much as possible using reassembled original material, with new marble from Mount Penteli used sparingly. By 2017, a total of 2,675 tons of architectural members were restored, with 686 stones reassembled from fragments of the originals, 905 patched with new marble, and 186 parts made entirely of new marble. A total of 530 cubic meters of new Pentelic marble were used. 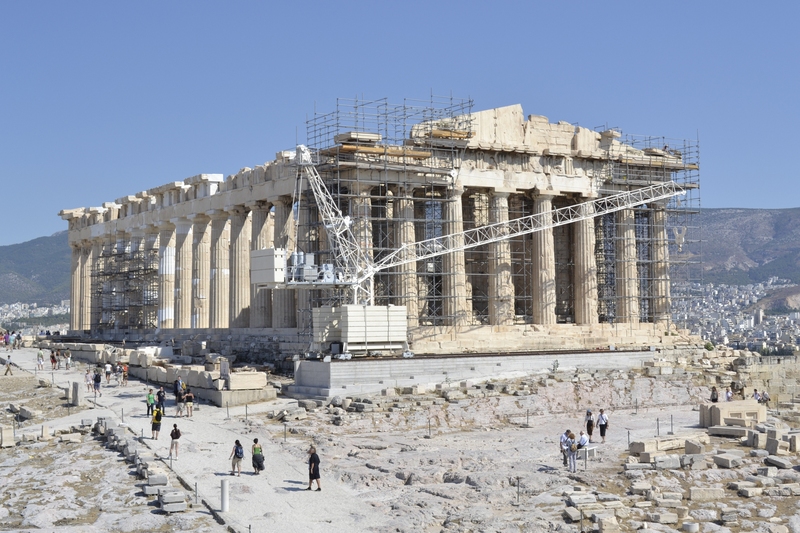 The next phase of restoration which affects the West Metopi of Parthenon is estimated to cost 5 million euros and be completed by 2020. But creditors cannot wait. 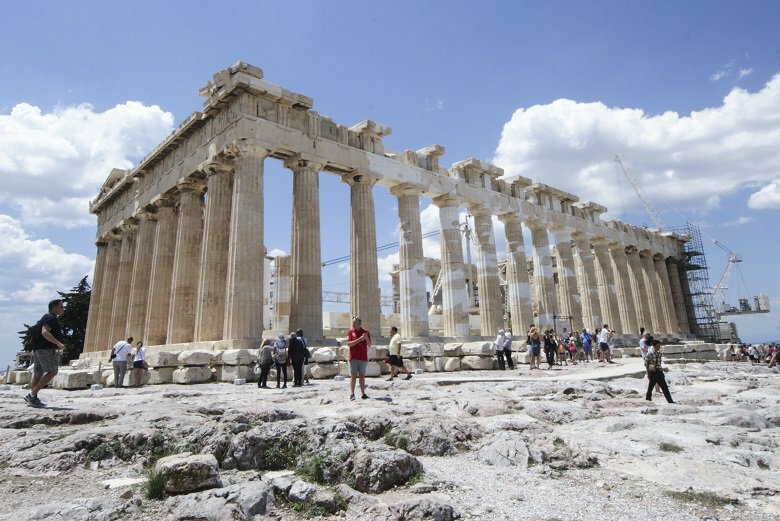 “Restoration works affect the flow of visitors to Acropolis, the revenues fall back form the ones ones calculated by the European Stability Mechanism,” an EU source told media under conditions of anonymity. Tom Poulsen from the IMF stressed “We can no longer wait in vain to get our money lent to Greece back,” citing pressure by the IMF board members. “It’s either dept relief or cut primary surplus targets and expenditure,” Poulsen said reiterating the usual position of the Fund. 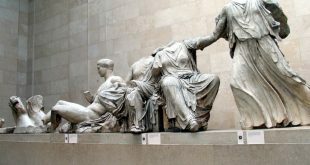 As expected, Greeks reacted furious to the proposal. A high-ranking member of the Acropolis Restoration Authority, described the 3D printer idea as “completely absurd” and wondered “How will they protect the 3D elements from rain and other weather phenomena?” She warned that all 75 members of the Authority will resign should the project proceed. The high-ranking member said they Authority is preparing protest actions against the project, including appeals to the UNESCO and other fora of cultural heritage. “Marble replicas made by 3D printing machines? 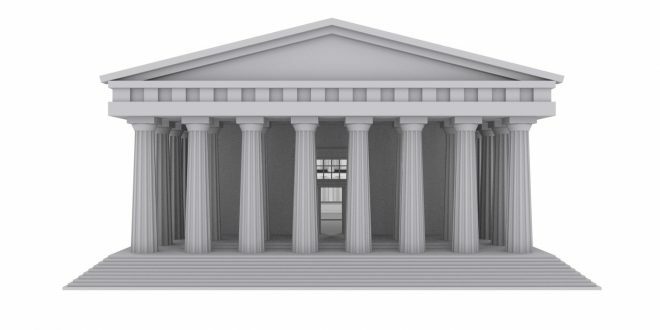 columns made of paper? What the hell… !This is outrageous and an insult not only to our work but also to the spirit of the Ancient Greece, the cradle of all civilization,” Christina Draghopoulos said. Meanwhile, also the scenario to privatize Greece’s most famous monument is back in circulation. According to unconfirmed reports, the Acropolis of Athens and the Ancient Agora are to be leased for 99 years to private investors, the bid may open in the second half of 2018. So far there has been neither official nor unofficial reactions to the scenarios. The Greek Culture Ministry, the Prime Minister’s office, the finance Ministry and the whole government remains silent by Sunday noon. Lenders expect from Greece, 2 billion euros revenues from privatizations in the current year, thus before Greece exits the bailout program in August. The Greek Privatization Fund said recently that the target was high. PS in case you oversaw the post’s publishing date… it was KTG’s April’s Fool for 2018. Happy April Fools to all! Well-predicted KTG, it will happen and the asking price is going to be just a few nice words by Merkel on how well her employees are doing with the looting of the colony. let’s 3d-print a trillion euro note and send it to these ####ers. of course, these monsters have only gotten bolder and bolder every time they tighten the screws and we still fail to rise up in revolt against this most corrupt and hubristic occupation regime. on reflection this must be a 1st of april joke! Love ❤️ April Foolishness. 24:7 χ 365!